What is a Cool Congregation? 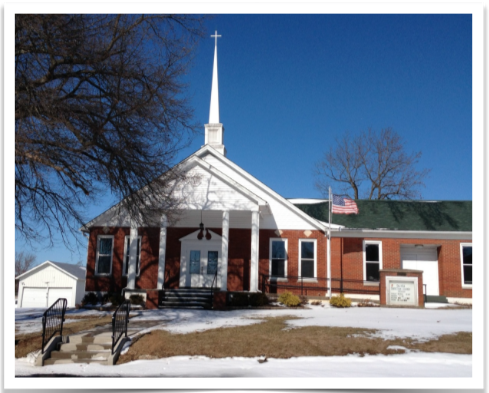 Salvisa Christian Church is a small, rural Green Chalice congregation, worshipping in a sanctuary built in 1881 in Salvisa, KY. Stewardship of resources is a priority, particularly in the area of energy consumption. Older buildings, such as Salvisa’s, incur unexpected failures which can provide opportunities to make needed upgrades and renovations. The congregation holds in sacred trust the heritage of those who have gone before and devoted themselves to serving God and God’s people in this particular place. Reducing its energy consumption and carbon footprint is a part of keeping the sacred trust in the care of God’s garden. This challenge was met one project at a time, from replacing their HVAC system, to adding insulation and replacing old doors and windows, to upgrading lighting, and replacing the hot water tank with an energy efficient model. Salvisa has also established an energy policy that calls for evaluating energy consumption on an annual basis. The church has been able to reach an impressive level of 30% carbon reduction equalling 3 tons of CO2 emissions per year, without the addition of a renewable energy source. Salvisa continues to seek ways to be better stewards of God’s “Dream of the Earth” and they hope that others will be inspired by what we they have achieved through the work of the Holy Spirit in a congregation that is resource challenged.